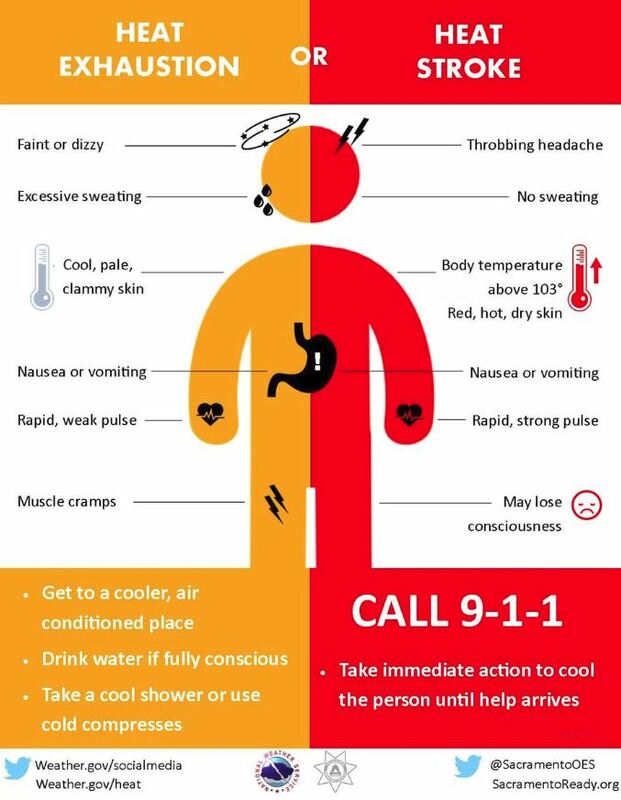 With the increase in temperatures the National Weather Service issuing a heat advisory for the entire state, below are several ways to stay cool and safe during these warmer temperatures. If your home does not have an A/C it is recommended you go to a shopping mall or public library. Go outside when its coolest. Limit your outdoor activity to the morning and evening. Wear light clothing and use sunscreen. Use a sunscreen of SPF 15 or higher. • Infants and young children are sensitive to the effects of high temperatures. • People 65 or older may not compensate for heat stress efficiently and are less likely to sense and respond to change in temperature. • People who are physically ill.
or those who take certain medications, such as for depression, insomnia, or poor circulation. For more heat safety information visit www.weather.gov/heat.